Best Gaming DealsThe best deals on games, consoles, and gaming accessories from around the web, updated daily. 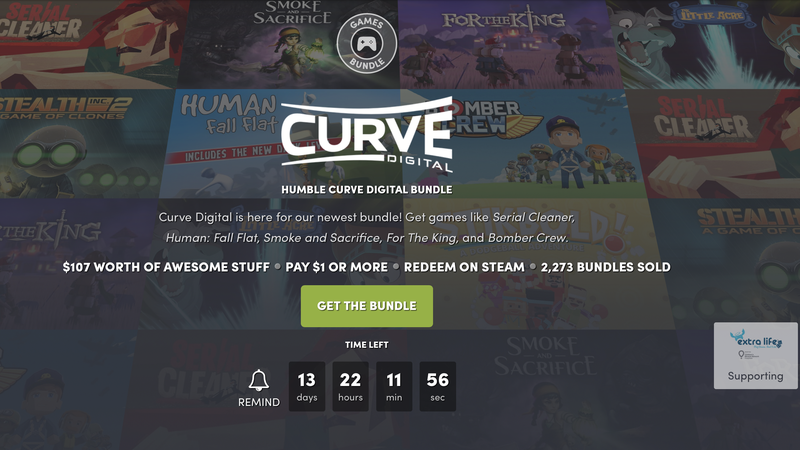 Humble’s back at it today with another gaming bundle, this time featuring up to eight games from Curve Digital. Highlights include Human Fall Flat, Bomber Crew, and For the King, and as always, you get to name your own price. Just note that you’ll have to pledge at least $15 to get all of the games, but once you do, they’re yours to keep forever.